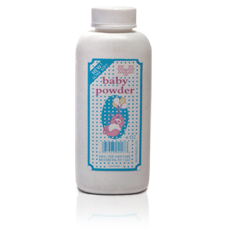 Keeps skin feeling smooth, dry and comfortable & has a fresh clean sent. 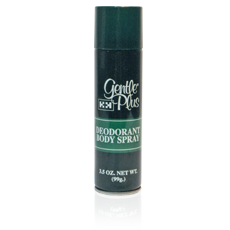 Gentle Plus deodorant is fast drying and easy to apply, with less reaching required than with sticks or roll-ons during application. It leaves almost build-up that may typically occur with many stick deodorants and is easy to rinse off if needed. Non-sticky formula drys on contact. Gentle Plus shaving cream is formulated to provide a close comfortable shave. Its thick rich lather helps protect skin from minor cuts, nicks, stinging, burning, redness, and other mild skin irritations associated with shaving. It lubricates and soothes skin trough out the entire shave. 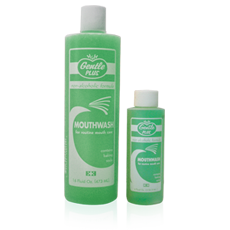 Gentle Plus Mouthwash helps to enhance oral hygiene. 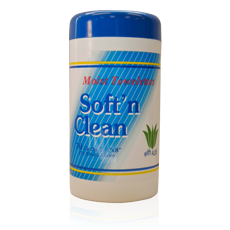 Gives a soothing soothing & gentle feel that cleans, refreshes and relieves oral irritations. When used together with regular oral care routine it helps fight plaque, gingivitis, bad breath, & germs. Repeated usage can also help prevent tooth decay. Gentle Plus Wipes are convenient, soft cloths moistened with a mild cleaning solution.